Pacbrakes flagship product, the PRXB (pressure regulated exhaust brake), is the unquestioned leader in the supplemental brake industry. 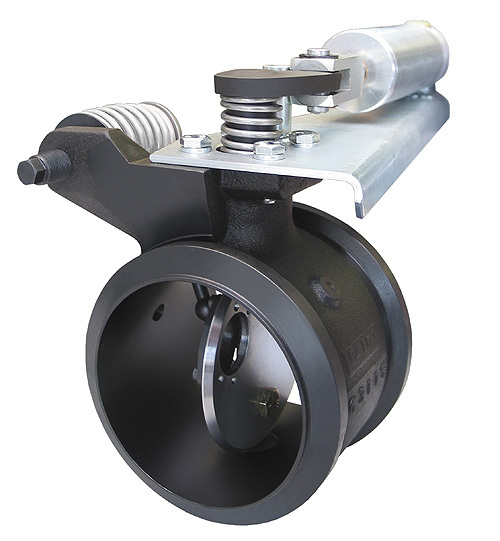 The patented PRXB design delivers the strongest braking horsepower, greatest speed reductions and shortest stopping distances possible without the use of service brakes. It maintains optimum retarding performance by maximizing the exhaust backpressure throughout the entire RPM range. Unlike a typical exhaust brake, which requires high RPMs to work properly, the PRXB delivers constant exhaust pressure (braking) as early as 1200 RPM through to the maximum allowable RPM.